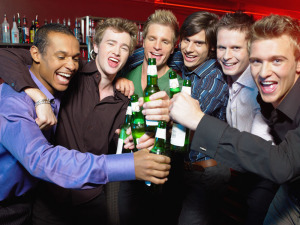 So you’re thinking of throwing a bachelor party for one of your best bro’s. There are lots of great cities to throw it in but only one city has it all: Las Vegas. (And remember, there’s a reason they call us Sin City.) Don’t forget, this party goes on your permanent record so you want to make sure you do it right. After all this is the last time the guest of honor will be single. You don’t want him treated as a VIP, you want him treated as a BIP (Bro Important Person). So make make sure you get it right and go VIP. Forget lines for night clubs, reservations for dinner and don’t even think about traveling in anything but style. Your Velvet Rope VIP host has it handled. A Velvet Rope Las Vegas VIP bachelor party will give you fond memories forever and isn’t that the idea?